I was emailed this file a few months ago. Having lost my email completely, I do not recall who sent this to me. Thank you to the person who provided this file to me. If enacted as planned, this could be a very important opportunity for the abandoned turnpike's redevelopment and future maintenance. Important note: the website and domain name "www.rays-hill.com" belongs to someone else now. This person is completely unknown to me. I am currently updating this website to remove any links to the old domain name. There are many e-mail address links on this website that will need updating. If you need to contact the webmaster, please do so at "webmaster [at] abandonedturnpike [dot] com". Any and all emails sent to an e-mail address on "rays-hill.com" will basically be lost in space. The domain name expired, so any email addresses and website addresses associated with the domain just disappeared. If you have sent messages recently and they have not been acknowledged, please send them again to the new webmaster address. Thank you. 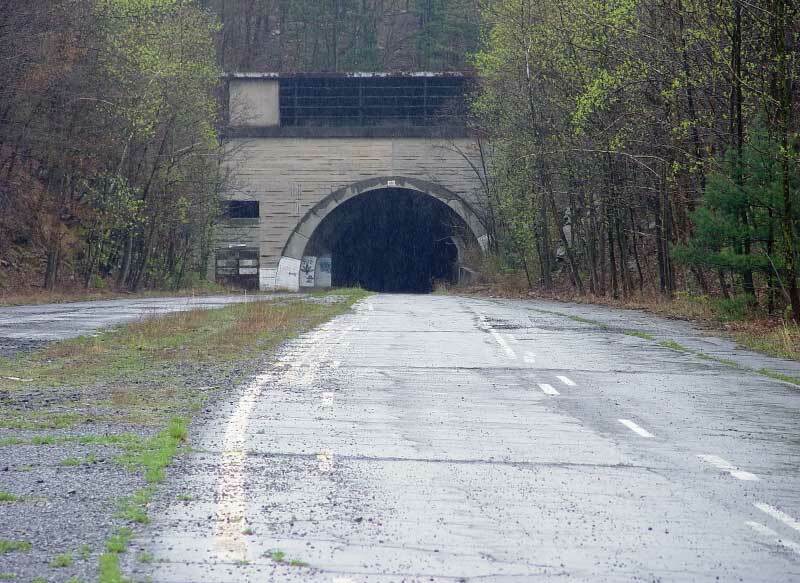 This website continues to be a source of information about the abandoned turnpike areas and the old tunnels. There has been no new developments (sadly) since my last update almost two years ago now. If anyone out there knows anything further about who owns the abandoned turnpike and tunnels in the Breezewood area now or who is actually in charge of getting any progress made, please email the webmaster with details. Two of the groups who were working on the project no longer have updated or functional websites. Several email requests from the webmaster to people who might be in the know remain unanswered. A special word of thanks for the website sponsors whose links have defrayed much of the cost of maintaining and keeping this website online for the past two years. As always, if you are interested in placing an ad on the main page or an "in-line text link", please email the webmaster. When any further news is released, I will update this website. 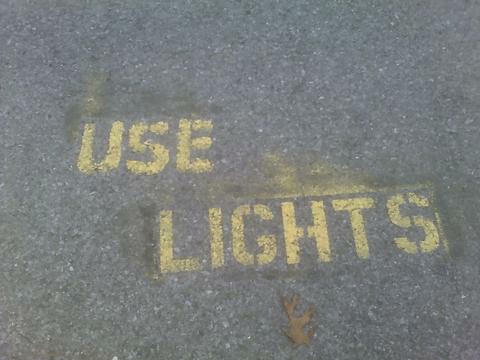 In the meantime, please continue to enjoy your visit on this website, as well as the abandoned roadway. We send our condolences to the family of John Bibber, who has contributed information to this website, as well as other websites (BrianTroutman.com) on the Internet. Sadly, John passed away on October 6, 2012. He was 36 years old. WAS EVER MOVED OR ABANDONED? YOU DIDN'T KNOW ABOUT THE ABANDONED TUNNELS? I have left our website running in auto-pilot for a long time now. There have been updates though, now and then, but I haven't had anything new or exciting to add for a while. Very few things have changed in the Breezewood area as far as the abandoned turnpike and tunnels go. The movie "The Road" was filmed at Sideling Hill and the tunnel portal is visible in the movie. Otherwise, things have remained quiet in the area. It is currently unclear on the Internet as to who actually owns the property and whether or not the Southern Alleghenies Conservancy group still has anything to do with the old roadway and the tunnels. I was contacted by a representative of the SAC and told that they are still working on the project. However, their website makes no mention any longer of the old turnpike. If you have any information, please send me a message so that I may update the website to reflect the most current information. Wow! I have been gone from this website for nearly two years! I decided to open up my FrontPage software and rebuild parts of the website. All references to "www.rays-hill.com" have been updated to www.abandonedturnpike.com. I can use your help of course -- if you see the links published wrong out there on the Internet, please help me inform websites that the links have been updated. Not a lot has happened in the past two years with respect to the abandoned turnpike section and tunnels near Breezewood, PA. In fact, Bedford County and the ownership of the area are still working things out for possible grant money and upgrades. The Southern Alleghenies Conservancy group has disappeared completely -- no forwarding information or contact information can be found. E-mails I have sent to groups in the area who might know about their status have been never been replied to. While I don't have a lot of new information to add to our website, I am making some much-needed repairs to broken links and HTML coding, as well as some cosmetic updates to some of the pages. Please bear with me on this, as the task is tricky at times. I am just an amateur website operator with only unpaid-on-the-job training as a webmaster. Since I live over four hours away from the tunnels and Breezewood, I do not know when I can make a trip there. If any of you get there before I can get there, please feel free to send emails and photos. I would love to include current photos on the website. Business sponsors are still welcome to talk to me about helping to defray some of the expense of hosting this website and maintaining the domain names. The sponsors from 2006 through 2010 greatly reduced the expense of this website, almost to the break-even point. Talk to me if you're interested. Take care everyone. I am working on adding this website to Facebook.com, so that might add even more visitors. If you have any information about the Southern Alleghenies Conservancy, Bedford County, or any authority who may be working to improve the area outside Breezewood, please let me know. Just wanted to post a message here to let you know that your webmaster is still alive and has not fallen off the face of the earth. I recently bought a house and it will be keeping me really busy with the fix-ups and repairs that come with buying a house. It's not a fancy house and it needs a lot of updating, but like most things in life, it is an answered prayer and a blessing. No doubt, I will be learning a lot of new things about woodworking tools and basic household maintenance that I never knew before. While there most likely will not be any website updates this summer, please know that we are still accepting stories, pictures, videos and any submissions for use on the website. It has been mentioned in recent messages to our website that the Pike 2 Bike organization and the Southern Alleghenies Conservancy groups are working on obtaining funding for the turnpike trail by having Fulton County take over the ownership of the property. This allegedly will give the trail a much better chance of obtaining grant and funding monies needed. An auto racing magazine has done a full story on the usage of the eastern portal storage area of Laurel Hill Tunnel and the tunnel itself. You'll find this story link under the "Confirming the Rumors" box in the left panel. I was checking around on YouTube and apparently within the last 10 days or so, two new videos surfaced on relating to the abandoned turnpike/abandoned tunnels. Here is something you will be especially interested in. It is a knowledgeable viewer who shows us the location and current condition of the Quemahoning tunnel. http://youtube.com/watch?v=O_5qPNqI6xQ. Very cool. Only other tidbit is apparently a Hollywood film recently used the tunnels and turnpike roadway to film a crash scene for an upcoming movie. I was sent some pictures of the "set" but am currently evaluating the accuracy of the shots. Part of this website is going to be dedicated to allowing visitors to the site to share their stories about visiting the abandoned PA Turnpike, including both abandoned sections, the tunnels (Laurel Hill, Ray's Hill and Sideling Hill), both recently and before they were open to public visits. All submitted stories that are posted will have proper credit given to the author(s) and photographer(s), as well as the ability to post stories anonymously. Please to share your stories with us! If you or someone you know likes railroads, train spotting, or even model railroading, this website might be something you would like. Jay has an excellent collection of audio CDs to choose from. they are easy to work with and offer excellent hosting plans. We are currently accepting advertising for website sponsors. Such sponsors help to defray the costs of maintaining the website and the domains. Please patronize our sponsors if you see something that catches your attention. Sponsors to this website are asked to make a donation in the amount of their choosing to the website for either a six-month or full-year run of their ad. As a courtesy to our visitors, only redirection type ads are permitted (no pop-ups or pop-unders). We will accept ads that involve hyperlinks in appropriate text locations throughout the website. All ads are expected to be "family friendly" in nature and for honest business practices. Please contact the webmaster of the site if you are interested in supporting our website and bring visitors to your website. If you are curious as to how many people visit this site from all around the world, click on the "view my stats" link above the sponsors section. Thank you! This website was created June 29, 2005. No portion of this page may be used or copied without prior permission from the as well as the respective authors and photographers whose works are represented here. The contents and descriptions on this page are the results of research by the webmaster of this site, as well as commentary and assistance offered by sources, some who may be quoted and some who wish to remain anonymous. All photos are used with the consent of their owners/photographers whenever possible. Some photos are in the public domain. Some are taken from Internet sources who do not have contact information posted. Should you believe that the usage of any photograph(s) infringes on your rights, please contact the webmaster and either grant permission for usage (notation will be made to indicate permission granted and your name/website source) or request for the picture to be withdrawn. All Library of Congress photos are in the public domain and/or used with permission of their owner. Please report broken/dead links to: .